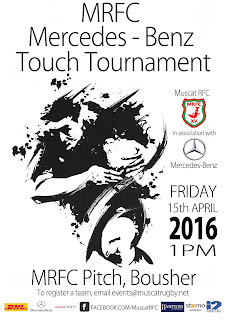 Coming up this Friday 15th April is the MRFC touch rugby tournament, this year sponsored by Mercedes-Benz. 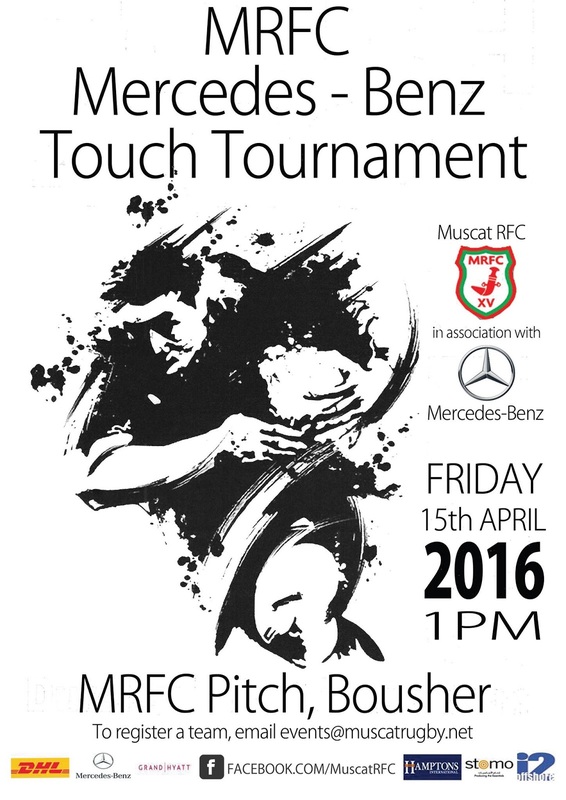 The tournament starts at 1pm on Friday 15th, and runs for a few hours. Post exertion libations will be held at the Dolphin Club. You can find more about MRFC by visiting their facebook page or their website.